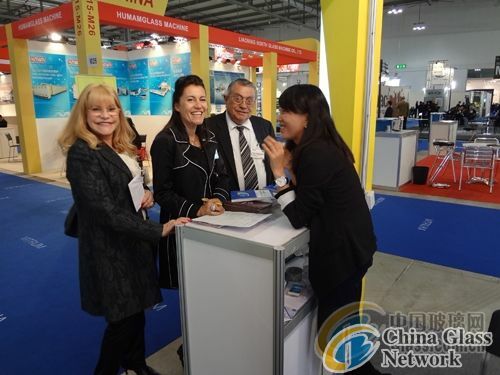 (China Glass Network) The 17th VITRUM 2011 was successfully held in Fiera Milano during October 26th to 29th, Maya Shao, General Manager of China Glass Network with relevant staff toured Italy to attended the exhibition. The 17th exhibition attracted a large amount of glass enterprises at home and abroad including several Chinese companies. China Glass Network lunched both Chinese and English version of “China Glass Supplier 2011” to exhibitor for free, the book covers large amount of database including products and companies of glass industry , helps to build a trade bridge between enterprises at home and abroad. According to report from China Glass Network, the total amount of the buying leads significantly increased than previous years, the quality and availability of the buying offers also get improved. In addition, demand of float glass and glass machinery occupy most of the buying offers. The visit also brings great opportunities of development to China Glass Network. 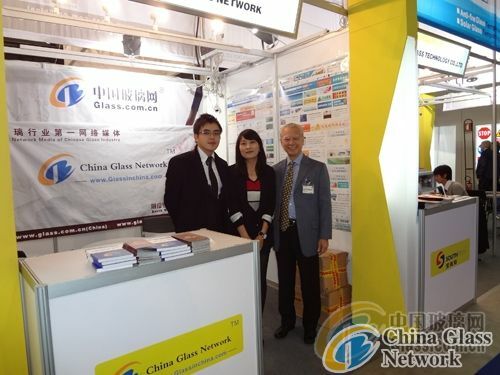 China Glass Network met staff of “Asia glass” and had the first interview face-to-face. It’s known that China Glass Network and “Asia glass” have reached preliminary cooperation agreement, which means China Glass Network will combined authority industry information from “Asia glass” with its own network resources advantage to be more professional and striving to become the top Network Media for glass industry. “Asia glass” is one of the most authoritative magazines of glass industry that provides readers with the latest industry news and market information including demand and supply . PrevThe benefits of glass tiles and where you can use them.